I have always been fascinated by swords. 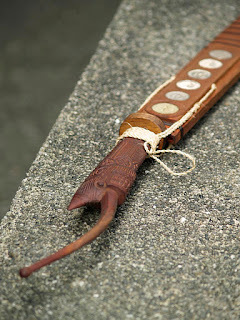 Since I was a kid, I have played imaginary sword fights with sticks and have longed to own a real one. 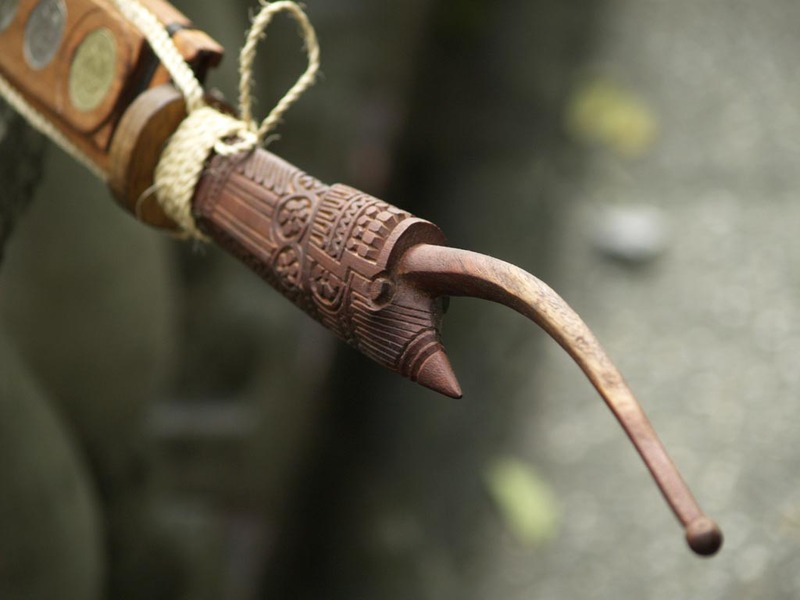 These tools of warfare are the most revered and respected of all ancient weaponry. A true man will be left in awe at the presence of a beautiful sword, feeling the power and the danger emanating from the weapon. 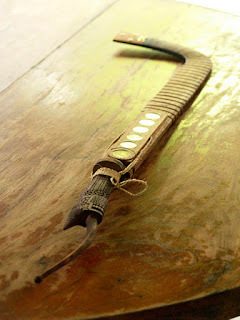 Very few nowadays knows about swords in the Philippines. 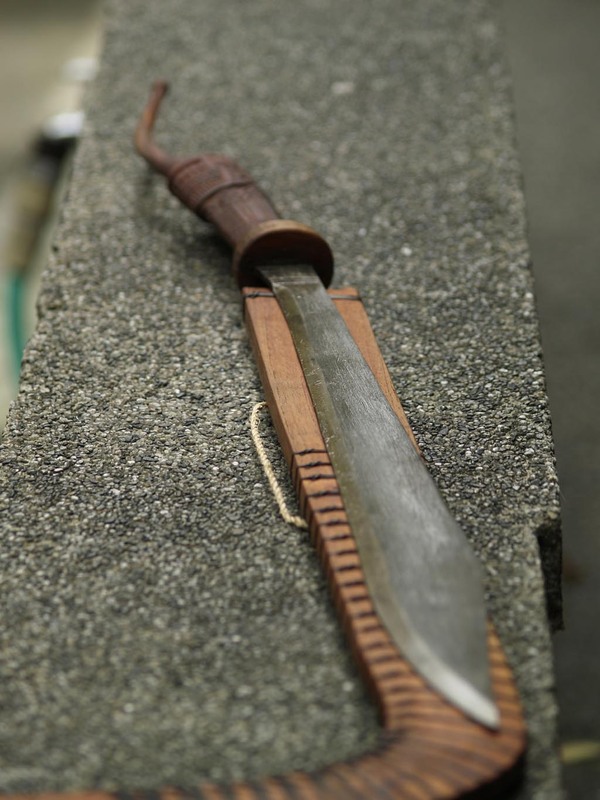 The weapon may have outlived its purpose as we are in an era needing more sophistication. Presently, if not being used for cutting and chopping, swords become ornaments. 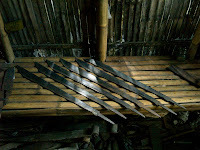 Thus the makers of Philippine blades faced with a vanishing trade had taken up other means of livelihood, but a few others stayed behind. 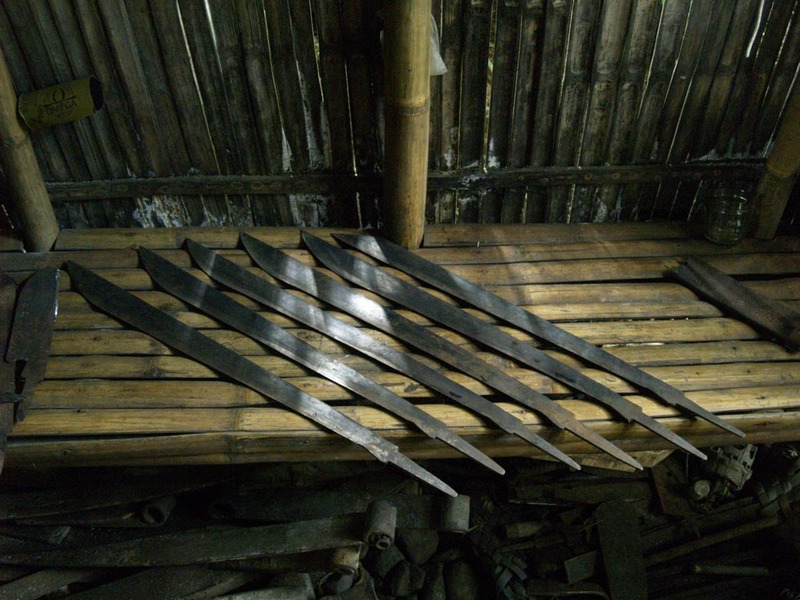 I have heard of stories of blacksmiths in the island of Panay and an unplanned trip to Aklan made me grab the opportunity to track down and find the makers of Visayan swords. Arriving at Kalibo, I first took care of matters that made my trip possible (which were secondary to my true objective which was finding a sword). Cramming everything in 3 days including travel time is difficult, specially because the plane landed on the airport at 2:30pm and half the day was almost spent. But if there's a will, there's a way. Asking the locals, there were few places I was directed to go but went to the one with the highest probability of success. 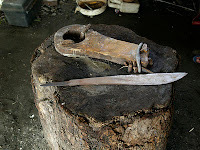 In a hut near one of the beaches in New Washington, Aklan, there's a blacksmith who makes sharp blades. On my second day in the island, I was able to visit this guy. 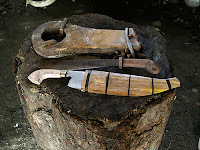 He was kind enough to show me his tools and talk about how he makes the blades. In his hut/workshop, are all improvised. 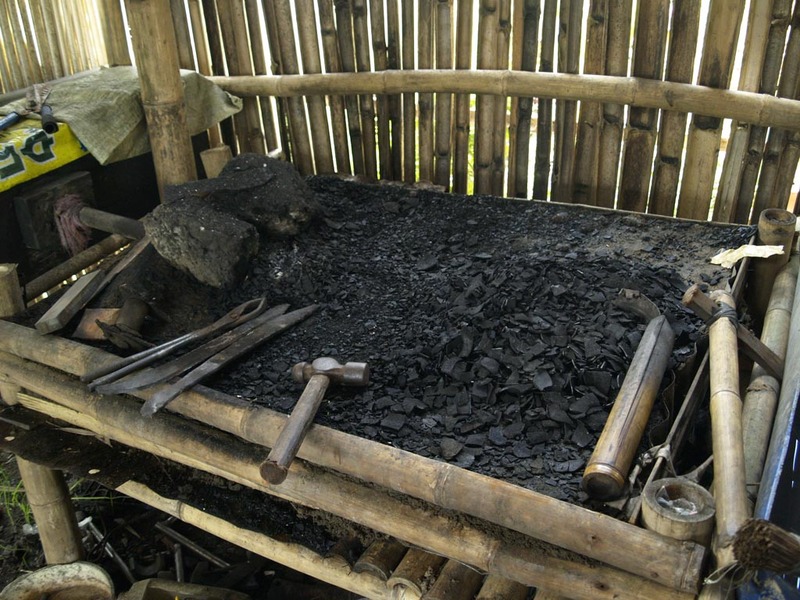 His furnace is made of galvanized steel roof, bamboo, sand and some rocks. A make shift air pump made of wood and some stuff inside that I didn't see, is beside the furnace for increasing the temperature. 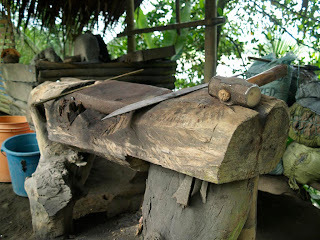 His anvil was a huge chunk of metal laid over a thick tree trunk held in place by metal hooks impaled on the tree trunk. 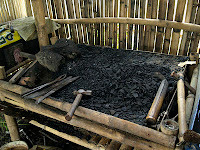 The blacksmith said he doesn't have anything available and what he makes are for the use of locals on their daily tasks. Looking at his work, true enough, they were meant to be used everyday. 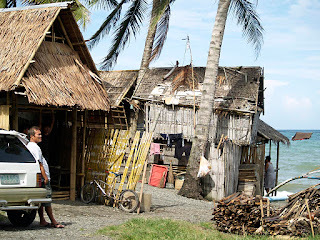 Leaving the place empty-handed, but still in good spirits, I vowed I will go deeper in Aklan to find what I'm looking for. Early in the morning of the day of my departure back to Manila, taking a bus pushing towards the border of Capiz, I stopped at the town of Badiangan to locate the famous blacksmiths there. Reaching their hut, there was a furnace too, but this time it looks more traditional than where I went the day before and its in a separate spot away from the house. Their tools are pretty much alike and it seems the family has been involved in crafting steel for a very long time. It hit the spot. 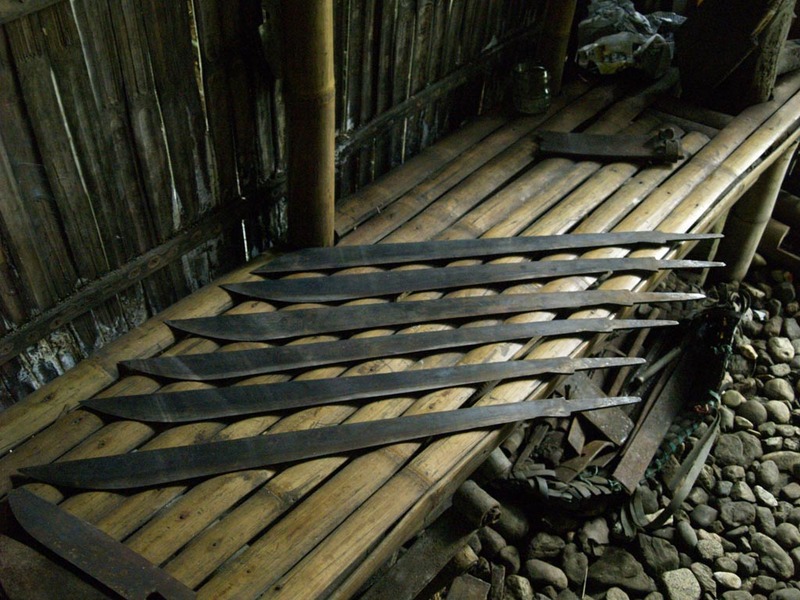 The moment I was shown these unfinished swords, I was screaming inside and got really, really excited. Unfortunately, it wasn't for sale. It was made for someone else and even if he'd be selling me one, it would take a day or two to finish the job, and my flight back to Manila is within the day. With a sad heart but never letting go of hope, I bid them farewell and moved further southwest. I reached the Poblacion of Libacao after going through rough roads and some landslides from the mountains. A quiet but civilized town, Poblacion of Libacao is the center of the Municipality. 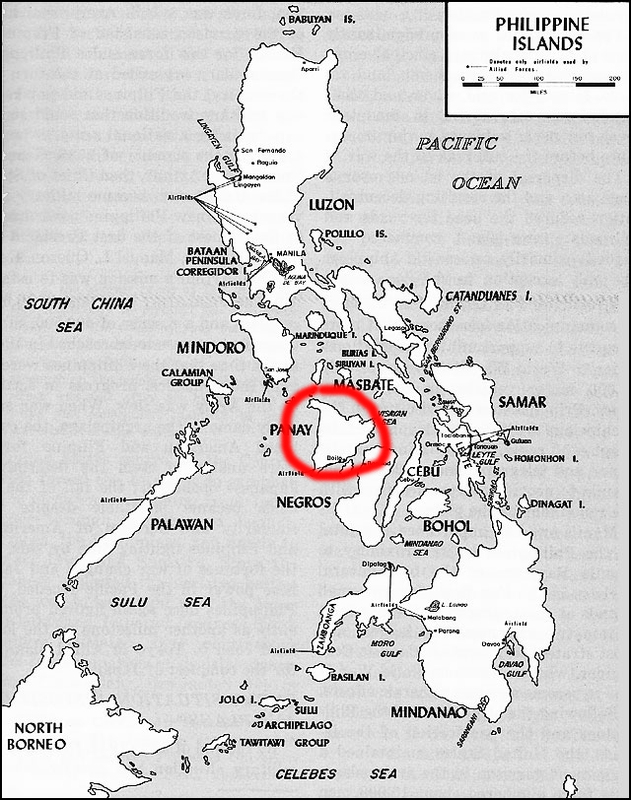 Several baranggays are reached through trekking or motor bikes and some are remotely deep in the mountains. 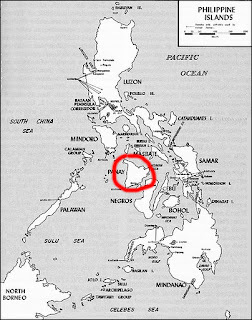 It has been said that the many Libacao pandays live on those baranggays. Being alone, with no one to accompany me, I asked around hoping to get my way around and perhaps reach the far flung blacksmiths. Good fortune smiled on me when I reached an artist who dresses up the swords with ornate handles and a good scabbard. I wasn't expecting any of his creations to be available so I was to settle myself on his terrace for a chat. It was a long way I had gone for a chat but who knows what will come out of the conversation. To my surprise, he brought out a sword and without second thoughts, it got sold. 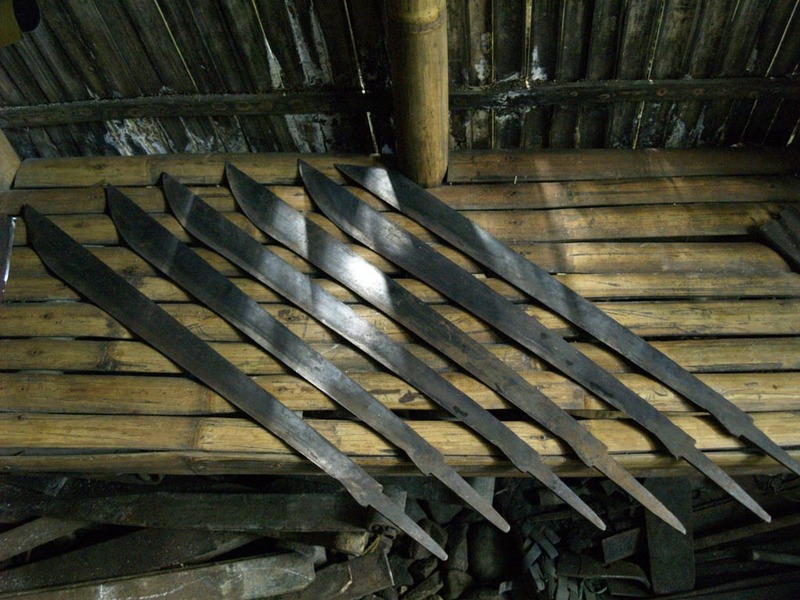 It was 26-27 inches of hardened steel to achieve razor sharp edges. 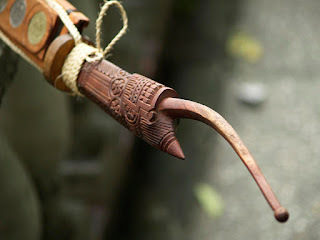 The carved handle is made from mahogany, the hand guard from narra, the scabbard is from the light Philippine Cedar locally known as "lanipga" and the black trimmings are called "obaran" which comes from a tree. The rope that will hold the "talibong" in the waist is made from abaca. It is really beautiful. And it was worth the whole trip. Later in the afternoon at the airport for the return flight to Manila, a guy commented after I retold my story, "Sir, that's the first of your collection. I'm sure it doesn't end with just one." I just smiled at him and said nothing. Maybe he's going to be right after all.